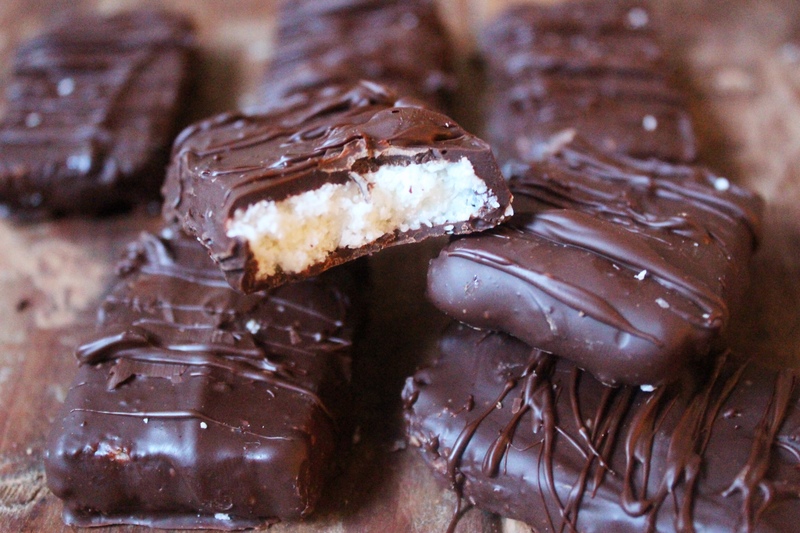 I’m a coconut fiend as of late and these homemade bounty bars are the dream. The filling is so delicious, sweet and with the perfect crumbliness. They’re quick and easy to make and only use five ingredients that you probably have in your cupboard already. Add everything except the chocolate to your food processor and blend on high for about 2 minutes. You are trying to cream the coconut rather than just mix everything together. When it’s ready it should look fluffy but you should be able to easily roll the mixture into a smooth ball, if not keep blending. Press the mixture firmly into a small baking tin lined with parchment paper. Pop it in the freezer for about half an hour to set. Melt your chocolate and lay out some parchment paper on a large plate or baking sheet. 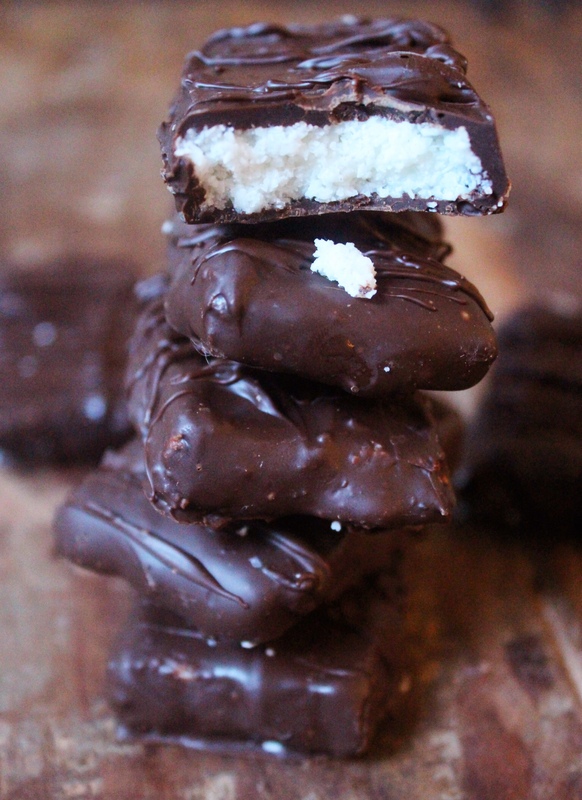 Remove the coconut from the freezer and slice into whatever shape/size you want the bars to be. Dip the bars into the dark chocolate and place them on the parchment paper. When you’ve coated all of them put them in the fridge or freezer until the chocolate hardens. What are you doing to me? These are just amazing! These must be fantastic! I can’t find coconut oil where I live. Can I replace it with something else?